Authenticity is just so powerful in marketing right now. The more natural you can make what you do in marketing, the more chance there is the consumer will let down their defenses just enough to let that message sink into their memory and change their behaviour. The theory behind this is called the differential threshold or “just noticeable difference” (JND). If the consumer notices the marketing your campaign goes from natural to manufactured very quickly and loses its impact and effectiveness. Similarly if a consumer doesn’t notice the difference, then it’s hello to viral distribution and huge impact and engagement. However creating that natural and authentic feel can be easier said than done. Sometimes it’s through some great design and creative thinking such as that seen recently in the late Neil Lawrence’s Qantas “Feel like home” campaign, or by how we’ve taken to social media apps such as Instagram and Vine because of their natural, spontaneous feel and chance to directly engage with celebrities and sports stars, once unreachable to the masses. It’s natural. Authentic. Real. And so very often in 2015 streamed or beamed directly into our lives from a multitude of angles mere seconds after they have just happened. We see the triumphs of humanity in full 1080 HD, or for the lucky few, 4K Super HD vision. Mick Fanning’s escape from serious harm from a shark attack at Jeffreys Bay in South Africa was every inch that. It was terrifying footage to watch, but also uplifting to see the bravery and courage of Julian Wilson to go to his mate’s aid despite the clear danger to his own life. Clearly a hugely traumatic experience for both and an event that transcended the contest they were both involved in. And this is where ethics of brands comes into the mix. Let this moment be as is, or push the differential threshold and add extra messaging into the mix. 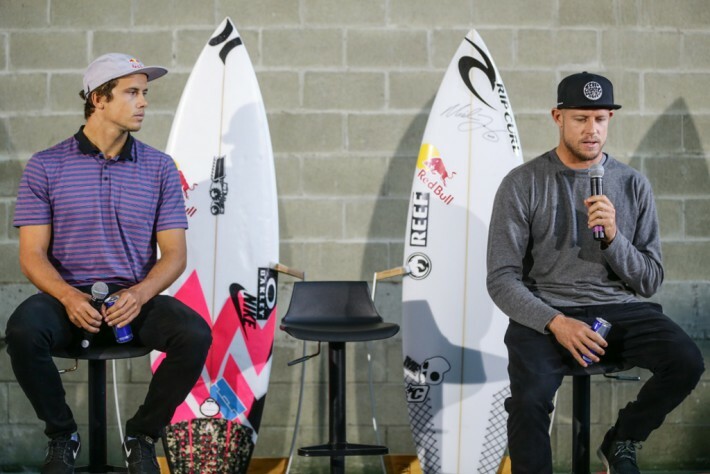 Which is what happened at the press conference in Sydney given by Mick Fanning and Julian Wilson. The words spoken were authentic as can be – these were two men who had, after all, just survived a one sided run in with the apex predator of the sea. But the Red Bull cans and Rip Curl products that attended every corner of the stage weren’t natural. They were placed there by the brands to ensure we knew who sponsored these athletes. They tried to slip past our differential threshold. But they were very noticeable in the context of a press conference about surviving a near-death experience. It was a brand message too far. A bite into the credibility of the very brands themselves. Using the media to carry the message like this went past PR and into advertising. Had this been after an event then yes having products around the athletes is fine. After all these are professional athletes. 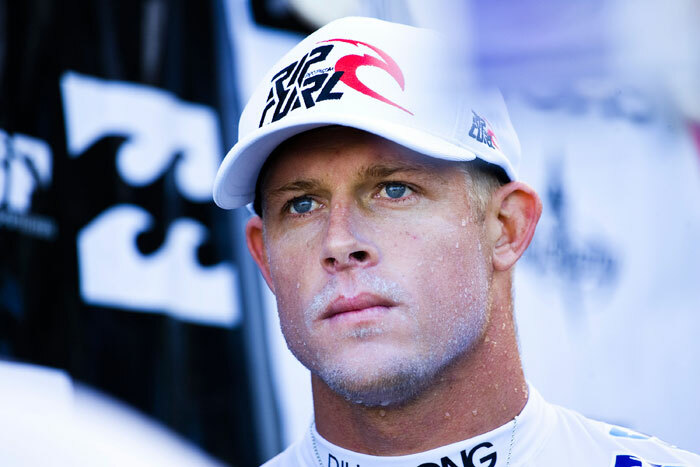 Mick Fanning last year earned $2.7 million according to BRW. Most of that is in product endorsements. These endorsers want at least a return on investment of at least 10 times. Hello product placement at media conferences. And to understand just how valuable those endorsers are for companies only yesterday there were reports that downloads of the Mick Fanning surfing game app from Rip Curl, Live the Search, had tripled in one day to 90,000 at roughly $7 each. A nice little earner. Athlete endorsements help brands leverage into that natural and authentic space easily. They help develop a personality for the brand that is used to develop a relationship with customers that can last for decades. And the more natural you are as an athlete the better. Just ask Shane Warne or Greg Norman, both of whom have successful product ranges and personal brand portfolios. Or Nike who’s LeBron James outlay of $12 million has so far seen sales of over $100 million on his range of shoes in the US alone. Is Mick Fanning worth every cent of his $2.7 million? No doubt about it all. Not only can he survive the sharks in the ocean, he can also survive the ones in the corporate world and ride his brand all the way to the bank for years to come as the corporatisation of sport is really still in its infancy. © 2015 Sydney Morning Herald | This article was written by Andrew Hughes and first appeared in the Sydney Morning Herald on July 23rd 2015.